But how did I get on in July? 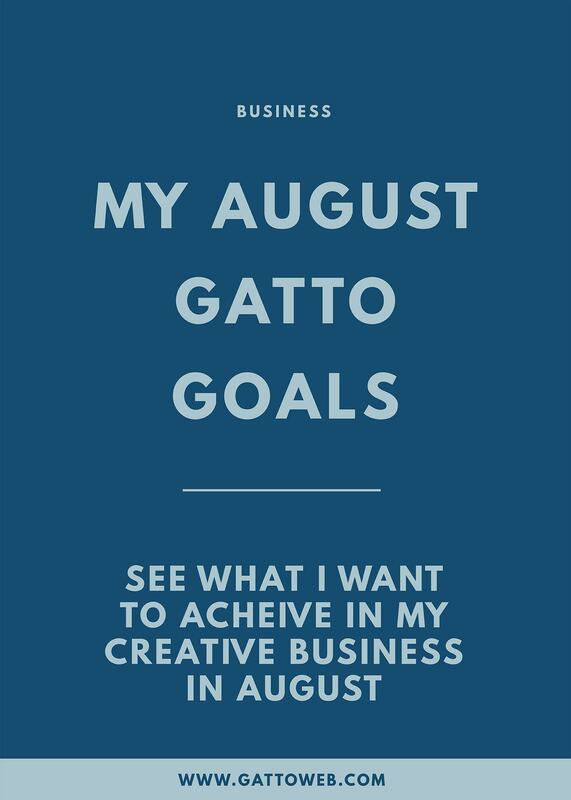 My goals for July were to plan my newsletter in advance, complete a 30 day Instagram challenge, create interesting graphics to share and streamline my creative process. Firstly, the two things I am really happy with are the Instagram challenge and streamlining. I have been sitting down and spending at least two hours a day engaging with other users on Instagram for a full month now and it has done my profile a world of good. Although it’s not all about the numbers, I have increased my followers by over a third which is incredible for me! I’m also speaking to some amazing people and enjoying using Instagram as a platform which I haven’t for a while. Onto streamlining, with help of Nesha Woolery and her Organize & Automate course which I have completed, I have managed to streamline every area of my creative and client process and can’t wait to put it to the test. I have made a start with creating my branding and website graphics although I haven’t got to the point where I can add them to my website and share them yet which was part of the goal so I can’t say I completed this one! I am however at a point where I can do this soon so I don’t mind too much. Finally, planning my newsletter was a slight fail which started with me frantically realising I was due to send out a newsletter at the beginning of July and quickly writing and scheduling a campaign… However, I have started to plan my content upgrades with blog posts and have created two new freebies for my resources library! After speaking to my coach and listening to The Goal Digger podcast, I decided that something that would be helpful for me would be setting up a small mastermind with fellow designers. Although my family and friends are happy to listen to my business wins and woes, they don’t always understand what I’m talking about. Talking to other designers would give me a platform to give and receive advice, moral support and a little boost every now and then. I have already got a fantastic group of designer ladies to start with so I need to get to business and set up the group! Considering I work in SEO in my previous life, I seem to have dropped the ball a little when it comes to my own website SEO. Sometimes, I focus on clients website and let mine fall behind a little but this is something I’d love to switch up. I’d like to spend at least one batch day this month improving page and site descriptions, doing some keyword research and optimising things like permalinks. These things have to be done! You probably know already that I use Dubsado as my client management system, maybe because I talk about it ALL THE TIME. A feature which I’m yet to make the most of is the Workflows. Workflows can be set up to completely automate your client process from sending contracts and invoices to emails and forms. I’ve been wanting to set this up for a while but haven’t got to grips with it yet so I want to sit down and go through it properly. When I relaunched my business, I changed a few things around such as contact information and social media handles yet the business cards I have don’t have the new information on or match the new branding. I’ve come to realise that having business cards can be a really good tool for business with a few people asking me for them over the past few weeks and I didn’t have any with me! I can’t wait to feel more prepared when it comes to ‘networking’. BONUS GOAL: I’ve recently become obsessed with my house plants and taken a few cuttings to make some plant babies. The goal is to make sure they survive and become adult plants! Do you have any monthly goals? How are you going to make sure you get them all completed?